The witching hour is drawing closer as final preparations get underway for Paisley’s Halloween Festival this weekend. And now you can take a sneak peek at one of the four giant centre pieces of the Mardi-Gras style parade on Saturday night – a giant animatronic witch and cauldron! The other spooky floats have been co-designed and co-created with Renfrewshire’s young people and creative events company Bridgeman Arts for this years ‘Something Wicked this Way Comes’ event. The creation is four metres high and three metres wide and has taken five weeks to construct. Other stunning floats are a ‘Day of the Dead’ funeral scene, an illuminated ‘Mushroom Patch’ and interactive ‘Pumpkin Patch Man’ which will all be revealed in the parade. Noel Bridgeman said: “The giant puppet stirs the cauldron and her head and eyebrows move to great comic and creepy effect. The parade will set off from Paisley’s Art Centre at 6pm on Saturday October 27, featuring 500 young people and performers in costume, and will make its way through the town passing lighting installations and haunting soundscapes along the way. Spectacular aerial performances will take place throughout the evening with a cast of witches suspended from Paisley Town Hall, while other highlights include Spark! LED drummers, Beltane Fire Society and Mr Wilson’s Second Liners on the Fire Stage. 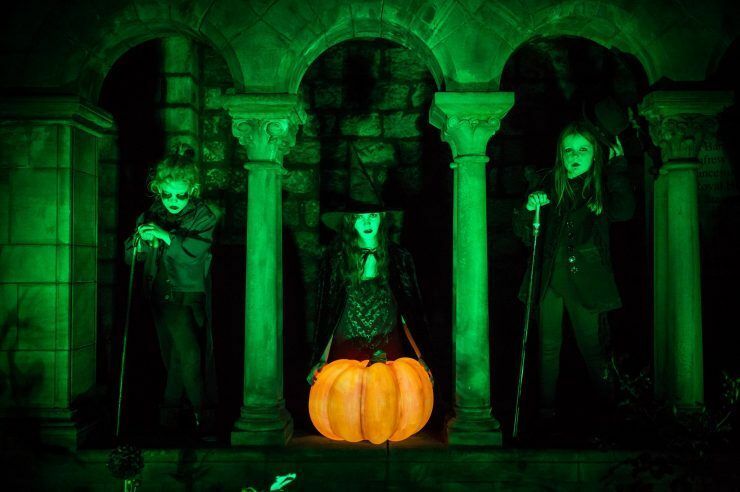 Paisley Halloween Festival was listed as a top UK festival in 2016 and 2017, and this year’s event is set to thrill and chill visitors from all over Scotland. Young people are at the heart of the festival, which is supported by the Year of Young People 2018 event fund managed by EventScotland, part of VisitScotland’s Events Directorate. Take a look at the full programme for the Paisley Halloween Festival 2018 below. It is fantastic that this year’s Halloween Festival is being designed and delivered with so much creative input from local young people. Their talents and skills will shine through, making this the best Halloween event to date. Paisley Halloween Festival 2018 is to be the biggest yet with parades and aerial performances galore.